Gouda 48% fat in dry matter, dye: beta-carotene, 2% chiliflakes. Contains MILK. 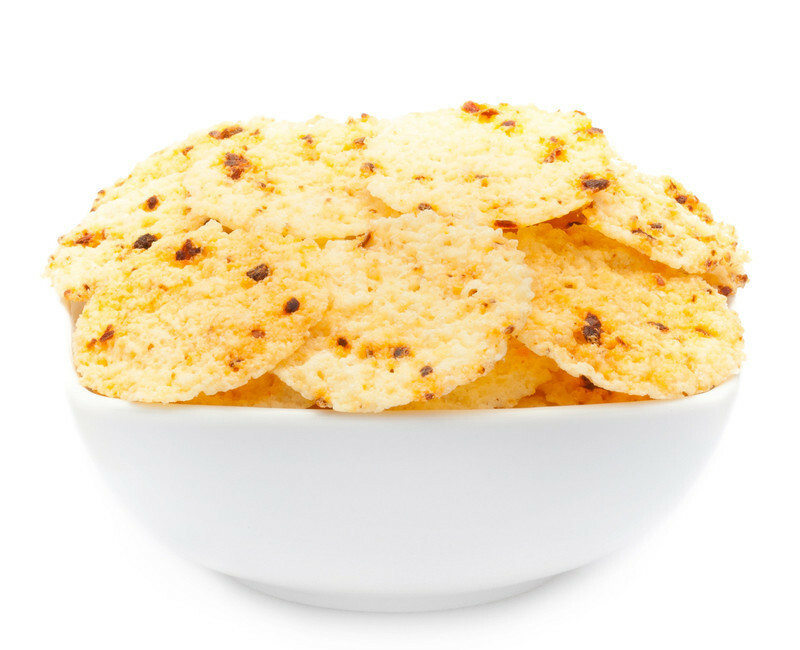 Our CHILI CHEESE COOKIE is an extremely thin, crispy cracker that we have seasoned with spicy cheese and flavoured with a hint of chili. For all enthusiasts, the cheese biscuits are hopelessly addicted, offers our cheese crackers by combining with tasty herbs another. It's a greater tasty snack alternative to traditional chips. A pleasure that immediately sets in with the first bite, and manifests itself wonderfully on the taste buds. Airy light and crispy-crunchy. The top note is spicy cheese, a fine herbs composition that accompanies this spicy HERB CHEESE COOKIE. A small, fine cracker, which is to convince the supporters of the classic cheese pastries. To spice up the cheese, we have decided in this recipe to add a little touch of fine herbal hints which give the crackesr some Mediterranean tone, which provides this snack the wonderful flavour. The fine crack and crunch complete the perfect taste moment for all fans of the light snack pleasure. This cheese pastry has what it takes to put in the shadows any other chip type you have seen before. The simplicity with which this CHEESE HERB COOKIE comes along, but gives a hint of a very amazing spicy flavour which you can create all sorts with it. Once, this cracker has presented to your taste budsit has already happened to you. With its elegant look and delicious taste, you can with this cracker, for example, to use it as finger food or as a buffet appetizer. Any blue and green mold cheeses is more beautiful than the coating, which you can decorate with wine dreams. Cream cheese, with some ajvar, or simply with a little lemon juice, seasoned,applied to the cracker and garnished with walnuts or pistachio nuts. For this purpose, a chilled drink - Ready!